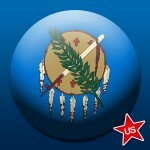 Two Oklahoma tribes have signed a pact to operate online gambling sites within state borders, but players in the U.S. would be excluded from participating. A pact between the Cheyenne and Arapaho tribes and Oklahoma Gov. Mary Fallin was brokered in April and calls for the Sooner State to receive 20% of all generated online gaming revenue. While an increase to state coffers is a definite positive to the plan, the largest negative is that the Internet poker and gambling sites will be available only to international players. Shutting out Oklahoma residents and players in other states is in contrast to the current trend taking hold in the U.S., that of individual states enacting legislation that will include U.S. players. That may happen down the road after legislation takes hold and lawmakers see the financial benefits. But in the meantime, should the law be approved, Oklahomans would have to watch from the rail as gambling sites emanating from their own state would be off-limits. Janice Prairie-Chief Boswell, governor of both the Cheyennes and Arapahos, believes the proposal would be favorable to all parties involved. 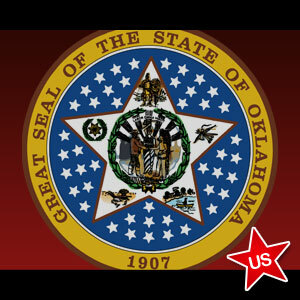 While that may be true for the tribes and the finances of Oklahoma, it is difficult to see how Oklahomans who would like to play regulated online poker benefit from the scheme. The tribes had been operating pokertribes.com, a social free-play poker site. But the website was closed down in April amid allegations that running such a site was in conflict with the current tribal gaming compact. The site is closed to online gambling, but continues to keep visitors up-to-date on the latest goings-on in the quest to offer a gaming website internationally, while leaving U.S. players out in the cold. Adverts in Oklahoma broadcast and print mediums have touted the international gaming sites as a boon to the state. The Arapaho and Cheyenne tribes, not the largest among Oklahoma tribal factions, are attempting to boost their standing and sway state lawmakers who have developed allegiances to some of Oklahoma’s bigger tribes. While increasing revenue for the state is a wonderful endeavor, doing so without allowing Oklahomans to also play online poker and/or casino games appears a bit out of the ordinary. Hopefully, for the sake of players in Oklahoma and the entire U.S., the plan of the tribes will not advance without also including U.S. players.